Wes Brown is studying Bioresource Research through the College of Agricultural Sciences and International Studies. Last summer, he participated in the IE3 Global International Internship Child Family Health International (CFHI) in Ecuador. This entry is an excerpt from his blog post for IE3 Global about a particular experience that stood out and made a lasting impression. Me and two other students in the program set off on an 8 hour hike through the Amazon Jungle. 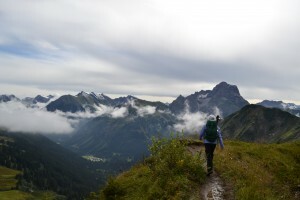 It was possibly the most difficult backpacking route I have taken. A foot deep layer of mud constituted our trail for a majority of the trek, we got stuck in the mud and our boots pulled off, we walked over steep hills and through rivers, and even got our path blocked by a poisonous snake that can jump a meter. 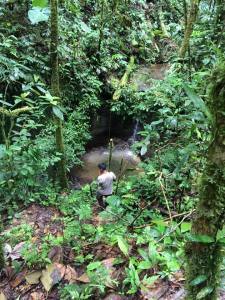 We hiked all this way because we wanted to stay with a Shuar family and learn about their lifestyle and culture. It is humbling to have learned that the same trail we hiked in 8 hours, a Shuar family will hike in 3-4 hours, carrying a box of chickens, and children. When we arrived we were greeted by a Shuar man named Gustavo and his family. Gustavo has a wife and 8 children. Once his children grow up, they get married and make a home next to the original so the children and their families all live together. Needless to say, we were surrounded by adorable children. They let us stay in a beautifully constructed Shuar hut and provided our meals, which consisted almost entirely of bananas. The first day we spent trekking through the jungle to a sacred waterfall. The Shuar have an interesting ceremony they use when they want to know what the future hold. The person must fast for about 4 days then journey into the jungle to the waterfall. At the waterfall he/she must drink a prepared concoction of herbs and jungle plants that act as a hallucinogen. They sit at the waterfall and say that the user can see visions of themselves in the future or potential future husbands or wives and children. This is in fact what Gustavo has done before and found out who he was to marry. We said goodbye to Gustavo and his family and headed back to Puyo exceptionally dirty and covered in mud from the hike. To learn more about international opportunities at Oregon State University, click here! Posted in College of Agricultural Sciences, Ecuador, IE3 Global Internships, International Degree, Returnee, Uncategorized. Courtney Kutzler is a senior working towards an undergraduate Psychology and International Degree. Last year, she completed back-to-back abroad programs in Miguel de Allende, Mexico through IE3 International Internships and a faculty-led program in Costa Rica through the Department of World Cultures and Languages. Since returning, Courtney has spent her time advising students who want to go abroad with her position as an International Ambassador through the Office of Global Opportunities. Read on to learn more about her unique experience! 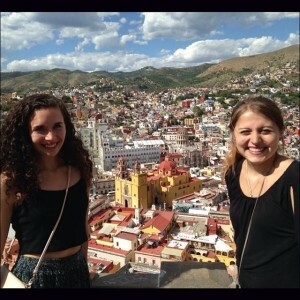 My first few days in San Miguel de Allende, Mexico, I was overwhelmed and felt as though I did not know a single word in Spanish. Throughout my first week, I was constantly lost and confused. 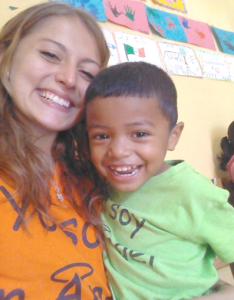 As I explored the streets, I learned that many of the people I met were welcoming, understanding, and helpful.With the progression of the next few weeks, I could not stop smiling as I walked around in the community and at the daycare I was interning at. I knew I belonged there because experiences like cleaning up poop from one of the kid’s pants or dissolving temper tantrums, that can be seen as difficult aspects when working with children, only motivated me more to continue interacting with them. One stormy day, I was invited to play soccer with some of the friends I had made (other volunteers and locals). The plan was to get together at 3PM, but we didn’t leave until around 6PM. When my friends arrived, we all piled into the bed of a pickup truck that rattled as though it would fall apart at the next speed bump. There was lightning in the distance and I could see storm clouds rolling in. My initial thought was that if we had left when we planned to, we wouldn’t have had to worry about the storm. In that moment, I reminded myself that this was just part of the adventure. My friend, Noel, drove a few miles out of town to a seemingly random field. We got out of the truck with our soccer ball and started to warm up. The teams were boys versus girls. The game was fast and with the wet ground and the lack of soccer gear (e.g. shin guards and cleats) we were covered in mud, sweat, and bruises by the end. Even more noteworthy, we all could not stop laughing. This experience was one of the many highlights from my experience in Mexico. During my time abroad, I got to practice Spanish and learn about the culture. I did this with my friends, colleagues, and the children at the daycare. I learned and experienced important aspects of the culture by trying diff erent foods, learning about the history of the town, playing/watching soccer and boxing, and talking with an open mind and heart to everyone I met. One of the skills I developed that I am the most proud of is the ability to adapt and be flexible. When something was supposed to start at a particular time and didn’t (like playing soccer), I always would think of it as part of the adventure. At the daycare, a lesson plan or activity would not take the time that was planned or the children would need extra time or support to complete it. Or there was some time for unstructured free time. In these moments, I got the opportunity to think outside of the box and problem solve. The challenges above helped me grow both personally and professionally. The patience and interpersonal communication skills that I gained through speaking in a second language, attempting to understand individuals’ perspectives different than mine, and applying the knowledge that I’ve gained at Oregon State University about working with cultural groups and with children are invaluable. I knew at the end of this internship that I would utilize these skills on future trips abroad, working with individuals from different backgrounds in the United States, and in my future career. 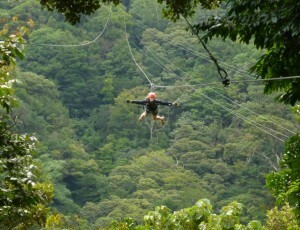 Immediately after my return from Mexico, I prepared for a study abroad in Costa Rica. I knew this experience would be different than my internship. I was anxious about possible problems, but I was able to embrace it and I was excited for what might not “go as planned” because I’ve learned that those experiences are usually the ones that stand out and are the most meaningful. After arriving in Costa Rica, I found myself homesick from Mexico. At first, I felt like I shouldn’t be homesick over a place that I had only lived in for 10 weeks. However, after reflecting further, I was thrilled that I had such a meaningful experience in Mexico that I missed it so much. 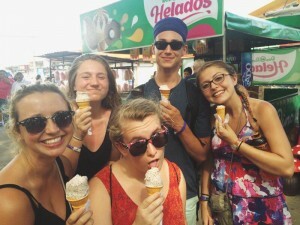 I was able to apply many of the social skills I had learned in Mexico, but I was aware that the culture was different and I continued to be sensitive and learn from and about those differences. 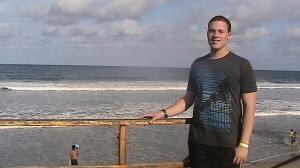 In Costa Rica, one of the most significant aspects for me was to have a host family. At first, it was uncomfortable. My family was very welcoming and friendly, but I was still a stranger occupying their house. It took time and many discussions for us to get to know each other before I truly felt at home. I got a better sense of the culture as I talked to them and was included in family activities. One important activity was watching soccer with the whole family and all of their friends. My host mom would make a huge meal and we would all watch the game together. This summer, Mexico and Costa Rica played against each other during the Gold Cup. Of course, I was asked who I was going to be rooting for. I made the mistake of outing to everyone that I wanted Mexico to win. The whole night my family called me Mexicana and made a point to cheer every time Mexico messed up or if Costa Rica got the lead. This experience made me feel more connected with my family because all families have differences, and in the end, we were all still having fun and bonding. I now know that I always have a home in Costa Rica. The classes I had in Costa Rica and the experiences with my family improved my Spanish speaking and understanding. Both experiences gave me the ability to be more culturally aware, tested my adaptability, and improved my understanding of two very different cultures. Mexico was an experience that centered around my work environment and colleagues while Costa Rica focused on learning Spanish and utilizing it with my family and the rest of the community. My best advice to others planning on going abroad is to connect with as many people as possible. This can be done even with a simple genuine smile or by spending time talking to a stranger. These connections will be helpful while abroad and can be life-long academic, professional, or familiar contacts. Lastly, make sure to keep an open mind and take advantage of opportunities that occur when abroad. (I was told once to always say “yes”…of course, within reason.) These are the experiences that will create massive personal growth and memories that will always be with you. To learn more about the international opportunities are OSU, click here! Posted in College of Liberal Arts, Costa Rica, IE3 Global Internships, International Degree, Mexico, Returnee, Spanish, study abroad, Uncategorized. 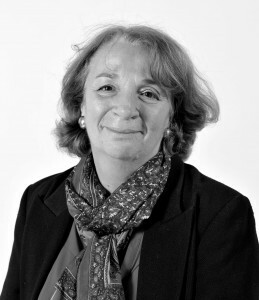 Sylvie Brugerolle is a Resident Director with IE3 Global in Poitiers, France. In her entry, Sylvie shares what 25 years of experience with international students has taught her. Read on to discover more about life in France and the challenges and joys of studying abroad. A fantastic opportunity! For a year, I welcomed an exchange student into my home. It was a wonderful experience and at the end of that year I learned that the program was looking for a coordinator in my city, so I applied with enthusiasm. I was selected even-though my studies and previous professional career didn’t specifically prepare me for the work; I am trained as a lawyer and worked as a financial advisor in a bank. 25 years later, I continue to be glad that I chose a different direction professionally and transitioned to a career rich in human and cultural connections. The history of the city primarily. Poitiers, one of the oldest cities in France, has an exceptional historical, cultural and artistic heritage. In addition, the long academic tradition (more than five centuries!) makes the medium-sized city one of the youngest and most dynamic in France – and one of the most international as well. Poitiers is the city in France where the ratio of students to inhabitants is the highest and one of the cities welcoming the largest number of international students. There is always something to do in Poitiers and international students, whether they come for a large city or a city of more modest size, appreciate the active cultural life. The location of the city is another plus. Situated an hour and a half from Paris and Bordeaux (and soon less than an hour with a new high-speed train line! ), the geographic location in the center of France permits one to travel easily in France and Europe. Whenever I have a free moment, I pick up a paint brush to decorate any of the media I can find – canvases, furniture and porcelain. I greatly appreciate the aspect of “multi-tasking” inherent in the resident director position; academic, practical, psychological, administrative, and sometimes legal. It is not a position with the threat of routine or boredom. My greatest joy, confirmed each year, is to observe how the students change during their stay. The maturity and independence that they gain over the course of the experiences they have, the challenges they face and overcome, to see how, cut off from their cultural and emotional supports, they find in themselves the capacity to adapt and develop a new openness. Multi-tasking, which I highlighted above as my favorite aspect of my work, isn’t paradoxically always the easiest to manage. My priority is to make myself immediately available to the requests of students no matter what administrative tasks I might be in the middle of doing. It is sometimes difficult to predict one’s schedule because one never knows the tasks the day will bring, what question or request the students might have that needs to be attended to: discuss a course with a student?, respond to questions about a misunderstood grade?, consult about a relationship with a professor?, manage the relations between a student and their host family?, console a student?, search for the best price for a train ticket with a student preparing to travel?, find new accommodation for a student?, assist with an administrative task a student must complete?, etc., etc. And all of this might fall into your lap at the same time! The first is realizing that the French they practiced in their courses in the USA isn’t really what they hear in France. Young French people speak at great speed, not well-articulated and use expressions that are typically foreign. Visiting students cannot allow themselves to doubt their abilities so that they don’t get discourage. If not, the student risks seeking refuge in their comfort zone by searching out the company of other English speakers. Then, they have to understand and adapt to the French university system which is quite different from what the students are familiar with. Professors are less accessible to students, administrative assistance less available, more autonomy in the work expected from the student and grading of homework is more strict. To leave behind all expectations, to exercise patience, to understand that their host country doesn’t always work according to the system they are accustomed to in the USA and to have a deep store of good humor available. Today we find in France, as a result of globalization, more or less all of the products sold in the USA. Don’t hesitate to bring a little of your world with you, however – a favorite book, photos of your friends and family to share with others, a collection of quotes to read on challenging days, your favorite candy. Why do you think is the most important take-away for education abroad students? Mark Twain said “Travel is fatal to prejudice, intolerance and narrow mindedness”. Leaving your comfort zone to adapt to another language, another culture, another educational system, another environment is indeed an unparalleled opportunity to exercise your thinking in the complexity of the world, to make it more open, imaginative and connected. Go to Oregon State University’s Office of Global Opportunities for more information on international programs, scholarships and more! Posted in Exchange, France, IE3 Global Internships, International Degree, Resident Director, study abroad, Uncategorized. 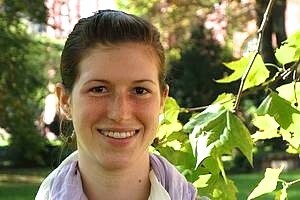 While at OSU, Charlene was an Environmental Science and International Degree student with a minor in German. She studied abroad at Albert-Ludwigs-Universität Freiburg (Freiburg, Germany) on the OUS Baden-Württemberg Exchange Program during the 2012-2013 academic year. Now, she has moved back to Freiburg to attend a Master’s program. In this entry, Charlene writes about the challenges associated with returning to live in to the place she studied abroad. One morning last December I was completely absorbed in thought while on my way to class. It was raining and I was waiting to cross the street. I was in Freiburg, and had been for about three months. During those three months I had moved twice, completed three Master’s courses and been selected to be a student representative for our class generation. But this morning, my mind was reaching back into the not-so-distant-past. If you’ve been abroad before, you know that those experiences never leave you. I had spent my junior year in Germany and my senior year back at OSU, devising my return to Germany for graduate school. On this rainy morning I asked myself if I was really back in Freiburg; the Freiburg I longed for during my senior year in Oregon. My Master’s program is in English. This is both a blessing and a curse in Germany. Although I can study with ease, it is often difficult to find time to practice German. This time in Germany, my life is completely different than it was two years ago. After my first time abroad, I arrived back to the states to finish my last year at OSU. I came home with a suitcase and a bag of “post-study-abroad-blues”. It was difficult to readjust to every day life and culture in the United States. Yet, here I was on this dreary morning, standing in Germany once again, feeling just as disjointed and unprepared for re-adaption back into Freiburg as I had felt when returning to the U.S. a year before. As I stood underneath gloomy skies akin to those in Corvallis, I began to reflect on my readjustment to the United States. I suddenly felt a tinge of regret and bitterness when I remembered how I had struggled to re-embrace my own culture the previous year. Why was I reflecting on this? Wasn’t I happy to be back abroad? I was just beginning to come out of my re-culture-shock phase of living in Germany again. Many things in Freiburg were different than I had remembered and, many things had simply changed while I was gone. I had also changed through my re-adaptation to the United States. I began to realize these circumstances and feelings were very similar to how I’d felt in the United States, so why had I now been re-experiencing this in Freiburg? Quite simply: each study abroad experience for each person, each place and each purpose, is very unique and individual, maybe even one-of-a-kind. It is not something to be recreated, even when we consciously or subconsciously decide to do just that! I realized I had subconsciously hoped that my journey back to Freiburg as a Master’s student would return me to that romantic junior year of study abroad when German culture, language and the irrevocably liberating independence of living abroad for the first time, were all so foreign to me. It finally dawned on me: we are responsible for the interpretation of our own experiences. Returning to your first study abroad destination again for an extended period can allow you to better process and reflect on that remarkable experience, especially in fully unpacking and contextualizing its significance in your life. But don’t forget, life’s a trip- it takes us places- but never in reverse. New adventures lie ahead. To read Charlene’s entry about her first time abroad follow this link. Posted in International Degree, Returnee, study abroad. Kimberley Preston is a junior in the Oregon State University Honors College studying both Fisheries and Wildlife Sciences and International Studies. 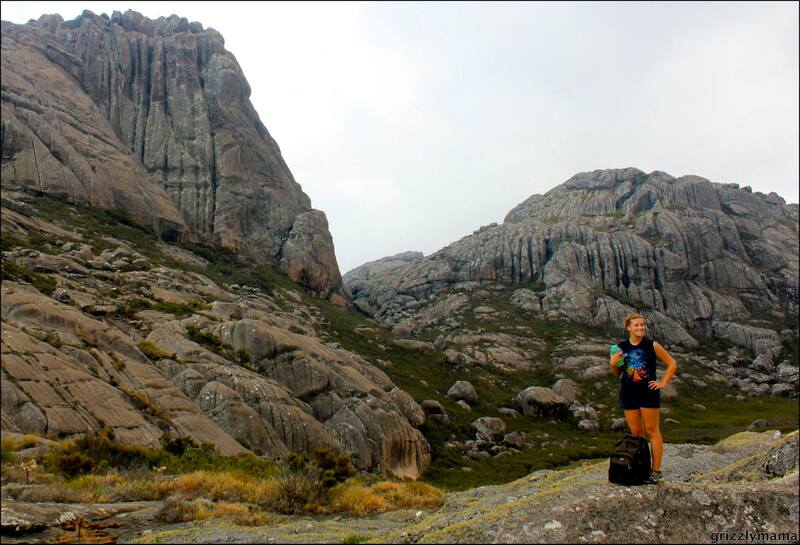 During Fall 2013, Kim studied Biodiversity and Natural Resource Management at the School for International Training (SIT) in Madagascar. My whole life I have been a naturally fast walker. As soon as I decide on a target destination, I charge forward, taking long strides, and moving with purpose. After spending a semester in Madagascar, however, my technique has changed. 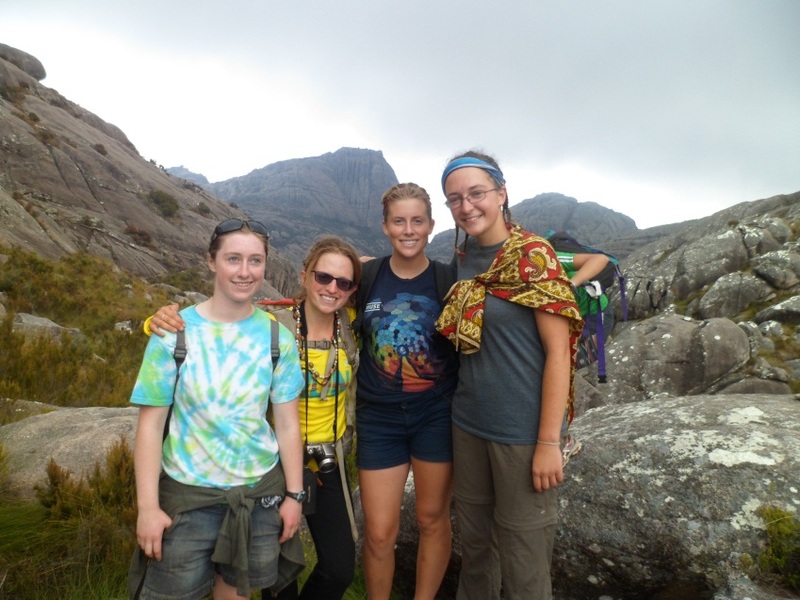 As a student in a biodiversity and natural r esource management program, I spent the majority of my four months abroad trekking through rainforests, spiny thickets, deserts, mangroves and the infamous tsingy (stone forest). All the while I learned about nature and immersed myself in the diverse environments and cultures of Madagascar. But, in a country rooted in the theme of mora mora (slowly, slowly), where success in life is measured by zebu count, family and land, where people live and breathe the environment around them, no one goes out hiking for fun. For most Malagasy people, hiking is not an activity of pleasure; it is a necessity of daily work. In every new region we explored, the theme of mora mora persisted. 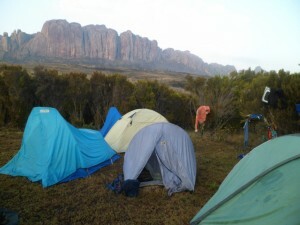 Nearly three months into our semester, we reached Le Parc National d’Andringitra. This place was unlike any others we had seen yet. We hiked to base camp with all of our gear on our backs. The elevation gain revealed itself in the hours of steep climbing and in the cooling air around us. The very next day, we woke with the sunlight hitting the cathedral mountains that formed a ring around our little plateau. Packing plenty of water and layers to shield against the cold, we followed our local guide to the trail head. Before leaving, Fidel, our guide, explained rul e number one: he would set the pace. Composed of experienced hikers, the group was antsy to charge the mountain to reach our final destination, Peak Bobby, but we respected the rule and obediently kept pace with Fidel throughout the hike. I soon realized, though, that this was not the usual, aggressive Western pace I grew up with. This was a hiking experience following the rhythm of a Malagasy man. For the first time I truly felt the heartbeat of this amazing place and I realized the value of living by the pace of mora mora. It gave me time to taste the cool, moist air; to hear my shoes scuff the dirt; to exchange ideas with my peers and live in the moment. Today, back in the U.S. it is easy to fall into pace with those rushing around me—everyone charging forward with a purpose. Now though, I slow down every so often and appreciate the value of experiencing not only different places but different paces as well. Posted in College of Agricultural Sciences, International Degree, Madagascar, SIT, study abroad, University Honors College. Kristin Chase recently graduated from Oregon State University with degrees in Women, Gender, and Sexuality Studies and International Studies and an Anthropology minor. 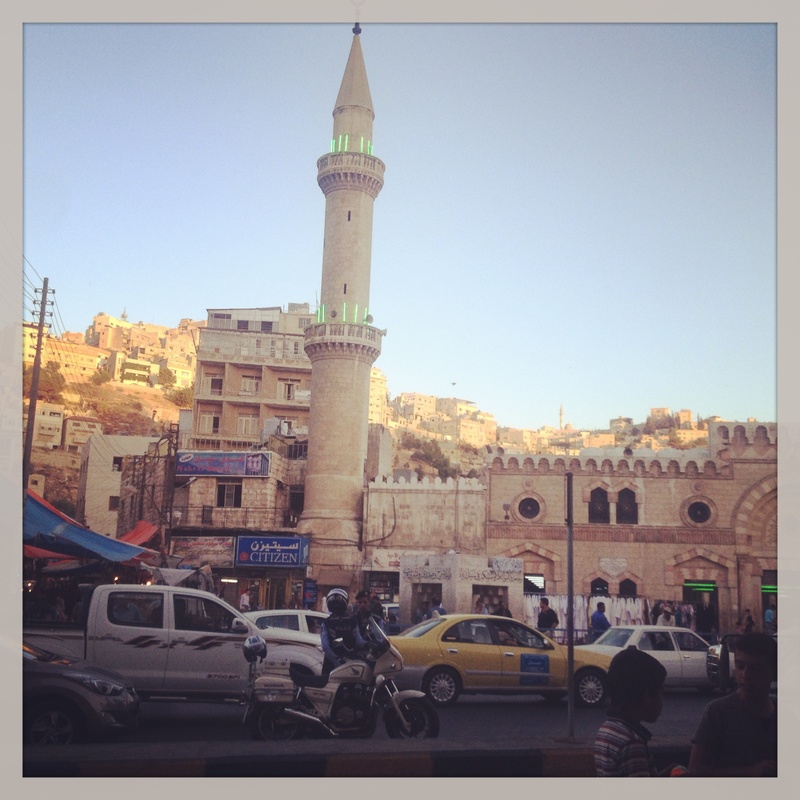 Kristin recently returned from Amman, Jordan where she studied Arabic through the SIT: Intensive Arabic Language Studies program. 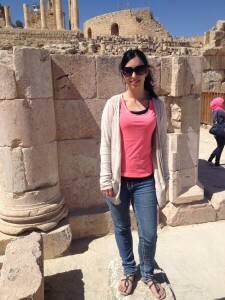 Additionally, Kristin interned at Ruwwad: The Arab Foundation for Sustainable Development through IE3 Global Internships. 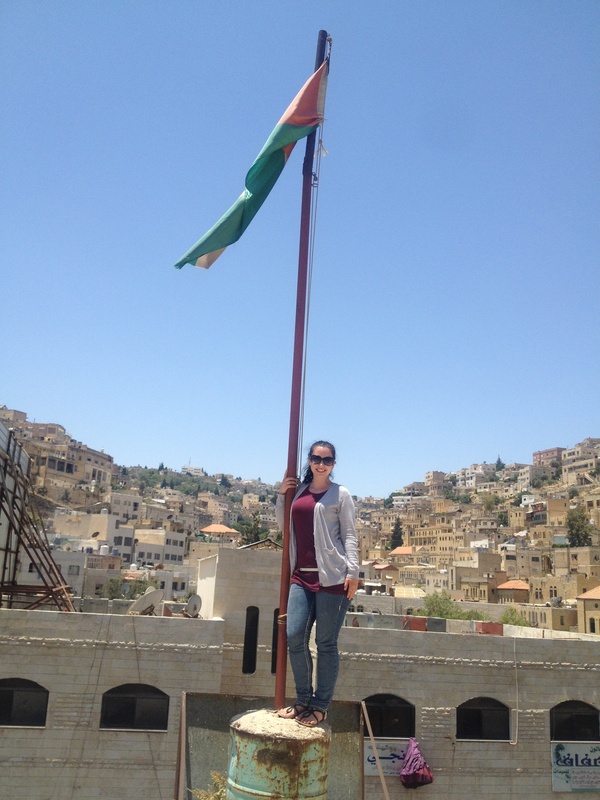 I returned about a month ago from spending five amazing months in Jordan. While abroad I had the opportunity to build upon my Arabic language education, as well as apply my research skills and passion for social justice. Since OSU only offers second year Arabic courses online, it was imperative that I go abroad in order to continue working to wards my goal of becoming fluent. I chose to study through SIT because they offer a seven-week intensive language program in the summer. I wanted a program that was focused on language and had a homestay component. I lived with a middle class- Palestinian family who spoke fluent English, but also spoke Arabic with me. 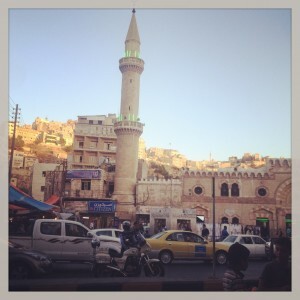 I was able to experience Ramadan in a family setting and learn more about Jordanian life from the perspective of a particular class in society. The program was also a good fit for me because we took many excursions that allowed students to understand more about the country’s culture and history. My favorite part of the SIT program was the Bedouin homestay experience. I had such a sweet family and I went back to visit them for a week after the program ended. Not only did my host family treat me as one of their own, but I also quickly became close with many members of the village. 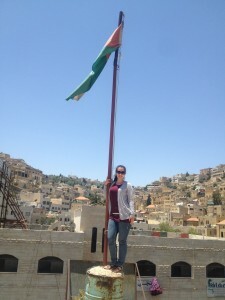 Overall, it was great starting out with a structured program as it provided a smooth transition into Jordanian society. After completing the language program, I started a three-month internship with Ruwwad, an organization based on community and youth empowerment that hosts many sustainable programs to benefit the local people. I chose this particular internship because of the organization’s focus on women and gender equality. 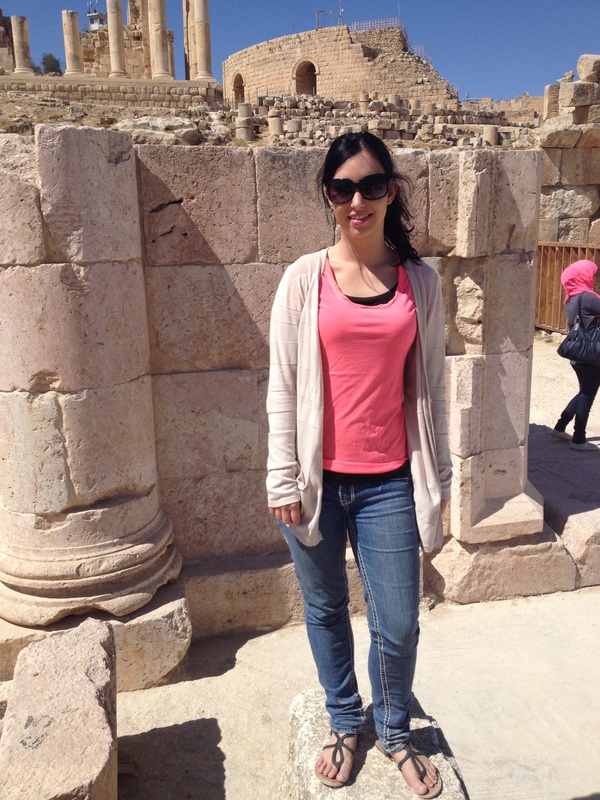 Ruwwad allowed me to merge my interests in, and apply my skills related to, women’s issues, Arabic language and culture, and research writing. I wouldn’t do the organization justice by trying to describe all of the incredible work they do, so I will focus on my particular projects. Since I am a Women, Gender, and Sexuality studies major, I knew I wanted to focus my efforts on something that would benefit women. Therefore, I taught women’s English classes (which were content based) that allowed me to develop relationships with many women in the community. My conservative dress and knowledge of Islam made me quickly accepted by the female students and their family members. Reputation is extremely important in such a community. The classes provided opportunities for the students and I to speak about clothing and modesty, gender roles, the Arab spring and other political issues, leadership and community involvement, as well as the media. Every day was such a pleasure because the women were really funny and opinionated and I enjoyed watching them express themselves as they became more comfortable in class. Our conversations gave me a deeper understanding of the power issues women face in their particular community, which helped shape the other component of my internship. I developed a conscious building module that Ruwwad will translate into Arabic and implement over the next few months. I am really excited about this and think Ruwwad is a model social justice organization. I feel so blessed to have been selected to intern for them. While completing my internship, I lived in an apartment with a British woman who worked as a refugee activist. It was really nice to live with someone who shared similar passions and could relate to being a woman abroad. Living in a new environment, particularly the Middle East, has a lot of negative stereotypes attached to it—especially if you’re a woman. However, I highly recommend it! I found that in general, because of my respect for the local customs and interest in the language, culture, and religious dynamics, most families and women accepted me and treated me as family. Jordan, and some neighboring countries, I would argue, are much safer than reported by the media. Moving somewhere new with such a complex and fascinating culture forced me to rely on myself and become more competent, not only in navigating new geographical spaces, but also in understanding sociocultural dynamics, my own identity, and other people. I have become so much more confident and grown into myself by embarking on this journey and I am beyond blessed to have had this opportunity. I can’t wait to go back! Posted in College of Liberal Arts, IE3 Global Internships, International Degree, OUS, Returnee, SIT, study abroad. 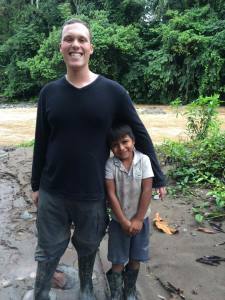 Erik Dove is a senior in the Honors College at Oregon State University, pursuing degrees in Biology and International Studies with minors in Chemistry and Spanish. He works as an International Ambassador for the International Degree and Education Abroad (IDEA) office. In Spring 2013, Erik participated in a medical internship in Quito, Ecuador, through Child Family Health International and IE3 Global Internships. I recently returned from a ten week medical internship in Quito and Chone, Ecuador, through IE3 Global Internships. IE3 partners with Child Family Health International, an organization that connects local and international health professionals to conduct community health projects and global health education programs. My internship took place in clinics and hospitals in two cities, offering a comparative perspective on the health care available in urban and rural settings. Our curriculum consisted of daily clinical rotations and Spanish classes, yet offered ample free time to explore the cities and travel on weekends. 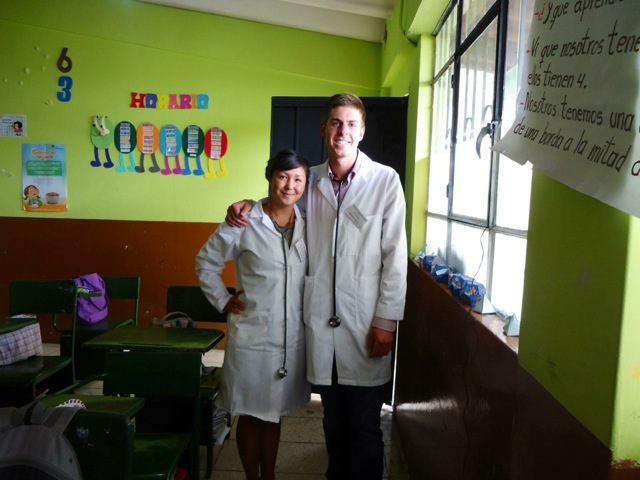 On a professional level, this internship exposed me to differences in clinical care, ethics, and health education, stemming from the distinct cultural identity of the Ecuadorian people. I lived with a host family throughout the ten week program. This opened up the door to cultural experiences to which I would not have otherwise been exposed. Our house was located in downtown Quito and was a quick walk to the bus stop, where I could access all parts of the city for twenty five cents. My host family was also able to give me advice on places to visit, activities to do, and foods to try. Additionally, my Spanish speaking skills were greatly improved by living with the family, as it forced me to practice my Spanish continuously. 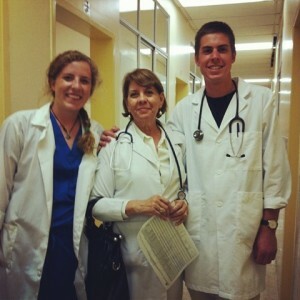 I chose this particular internship site because it offered the chance to gain valuable clinical and language experience. A personal goal of mine is to become proficient in Spanish, so living with a host family and taking language classes as a part of the program contributed to the immersive experience I was looking for. During clinical rotations, we learned treatment practices, conducted patient interviews, and assisted physicians when necessary. An added benefit was that it exposed me to societal and cultural aspects applicable to my undergraduate thesis, which focuses on public health issues in Ecuadorian populations. For me, the most valuable component of the CFHI internship was the opportunity to develop skills necessary to communicate with patients of a diverse culture. These skills are a vital element of being able to deliver effective care as a health professional. Throughou t the program, my program peers and I witnessed the importance of considering each patient’s values, beliefs, and ideals. An individual’s cultural background may influence the attitude they have towards medicine, their physician, and their understanding of health. For example, during the time I spent in the Emergency department of the rural city of Chone, a patient was rushed in with a poisonous snake bite. Upon arriving, his forearm was blackened and enormously swollen. As he drifted in and out of consciousness, his friend explained that he had been bitten almost 5 hours previously, but had initially sought treatment from a medicine man rather than the hospital. Due to his delay in seeking professional treatment, he was sent into surgery for amputation. This incident represents the challenges health professionals face when treating individuals with varying levels of health awareness. Consequently, health care workers who are sensitive to cultural issues are able to provide a higher level of care for their patients. The internship experience offered the opportunity to develop my language and cross-cultural skills, and provided the necessary education to enhance clinical experiences. An additional advantage of the internship was the exposure to a variety of medical specialties, which allowed me to explore focuses within the field of medicine. Our intern group spent each week in a different clinical setting, observing in the Surgery, Hematology, Emergency, and Internal Medicine departments to name a few. This made for incredibly interesting experiences in all kinds of clinical settings – gruesome dog bites, broken bones, and the rapid assessment and treatment of victims of accidents. My experiences in Ecuador led to an appreciation for a health care system vastly different from that of the United States. I returned with greatly improved Spanish speaking skills and a broader sense of cultural awareness. The internship helped me to identify specific areas of medicine that interest me and allowed me to gain experiences that will enhance a future career in health. Posted in College of Science, Ecuador, IE3 Global Internships, International Degree, University Honors College.